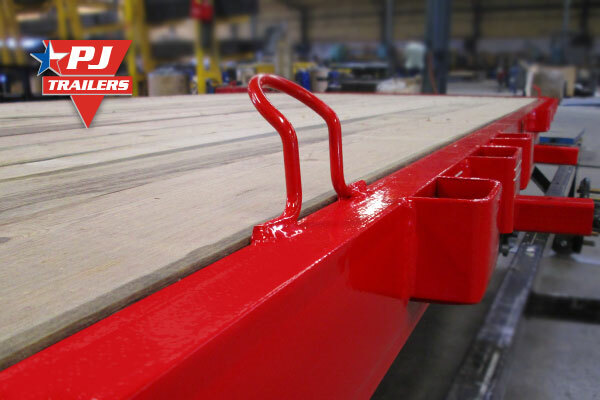 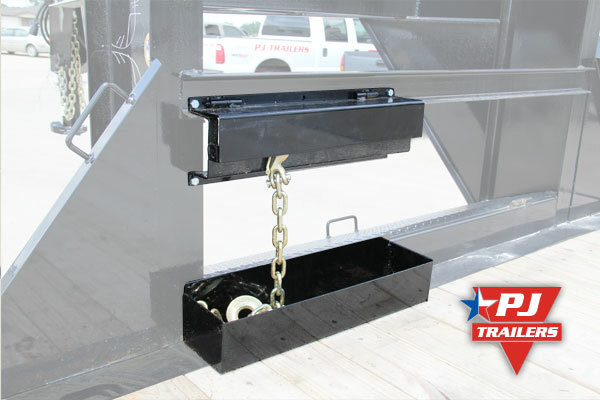 Our utility trailers come with stake pockets standard but some users prefer to use tie-down loops that sit above the deck. 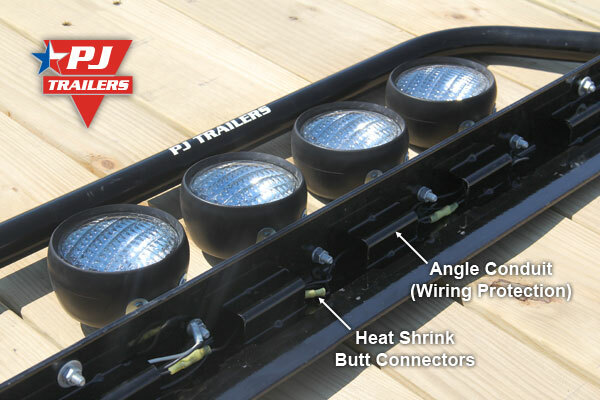 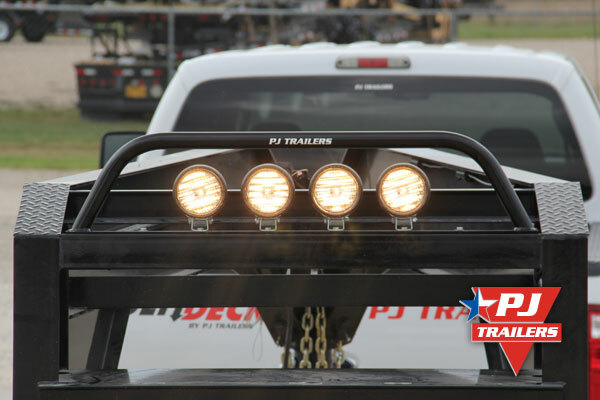 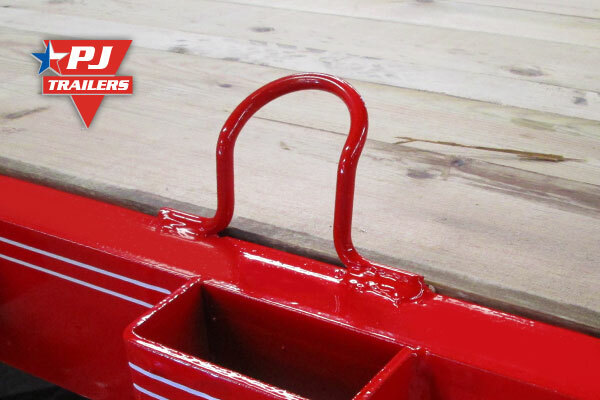 These are great for strapping four wheelers, UTVs, motorcycles, mowers, and other cargo. 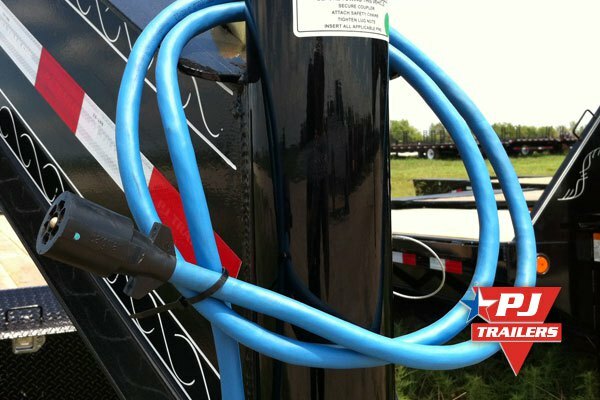 The cargo tie-down loops are sold in pairs, with two pair (4 loops) being the most common. 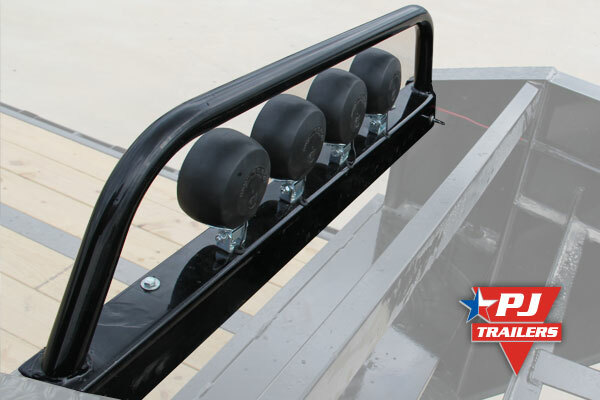 Option code: -TD01 (2 loops), -TD02 (4 loops), -TD03 (6 loops), etc. 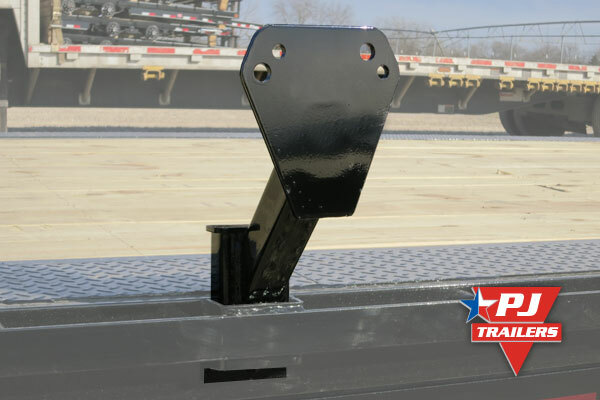 One of the most popular additions for dump trailers, tilt trailers, hydraulic jacks, and winches are wireless remotes. 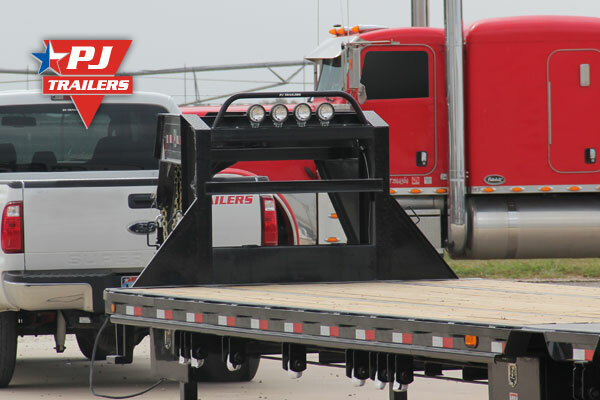 They make operating trailer hydraulics extremely convenient and fast. 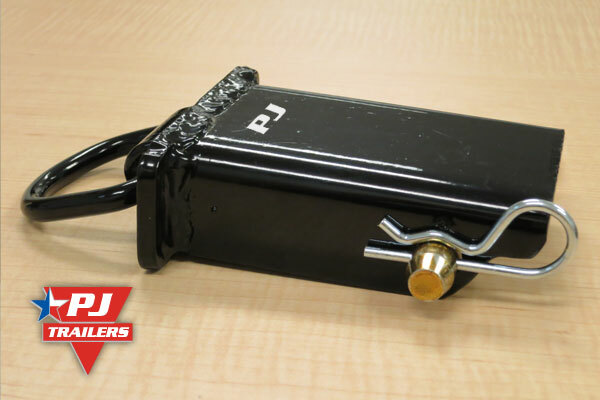 Our wireless remote is built by the same manufacturer as our hydraulic pump, so it is truly a "plug and play" installation. 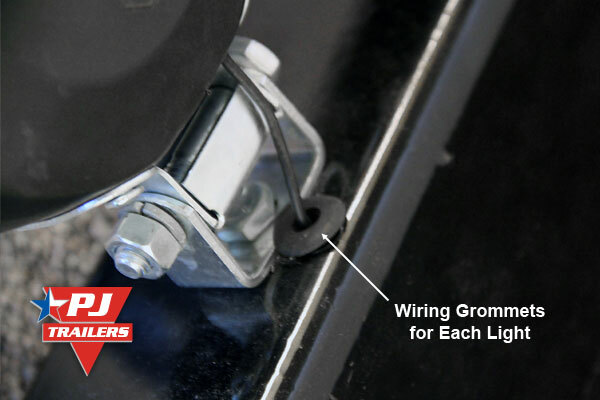 To install, simply separate the quick connector from the corded controller and tee in the matching connectors from the wireless. 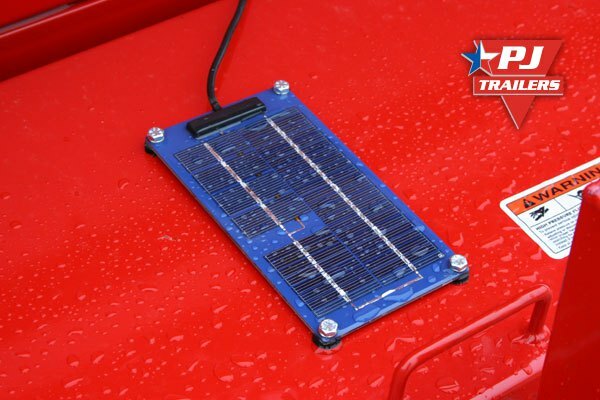 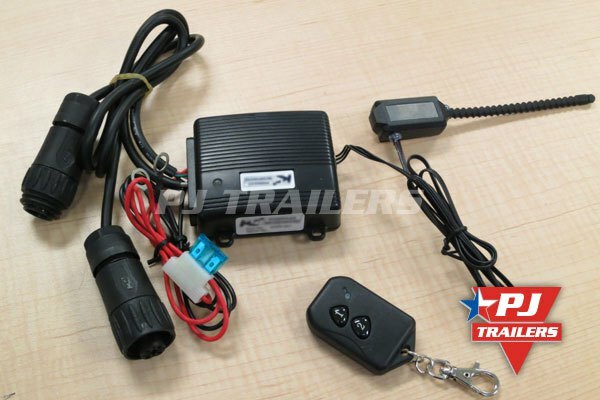 Hook up the positive and negative power feeds to the battery and attach the external antenna to the outside of the toolbox and you are ready to go. 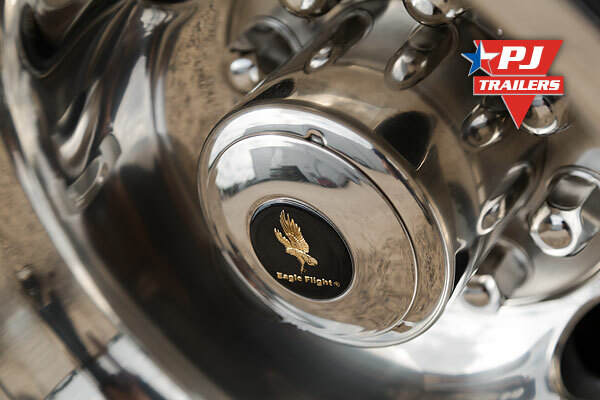 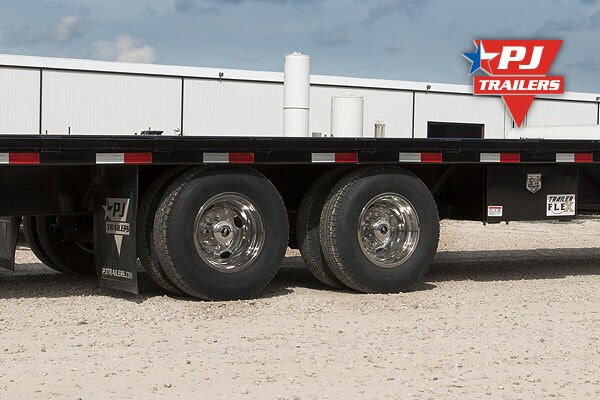 Ever wish you could move your d-rings to different positions around your trailer depending what you were hauling? 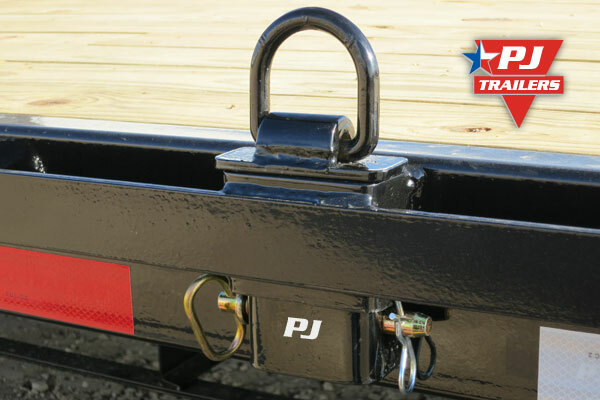 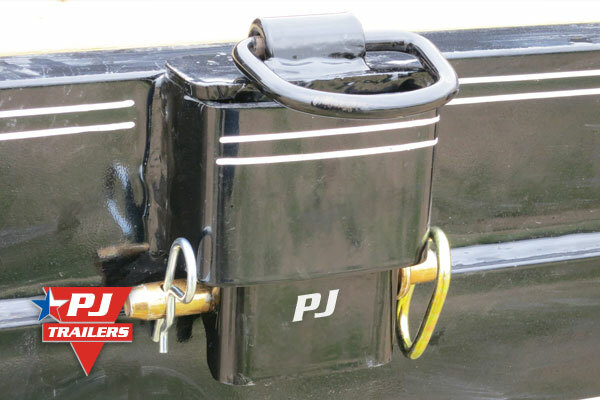 If so, our stake pocket d-rings make a great addition to any PJ Trailer with our 3 3/4" inside diameter stake pockets. 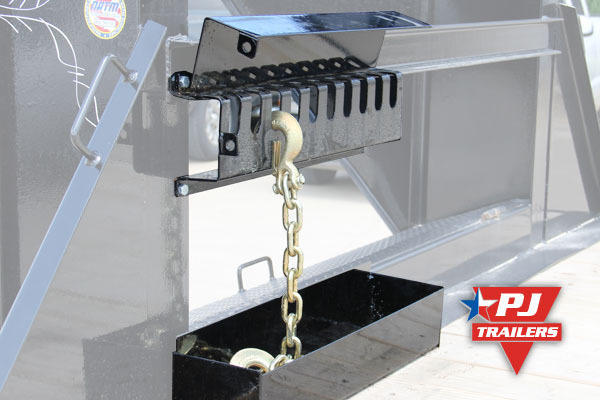 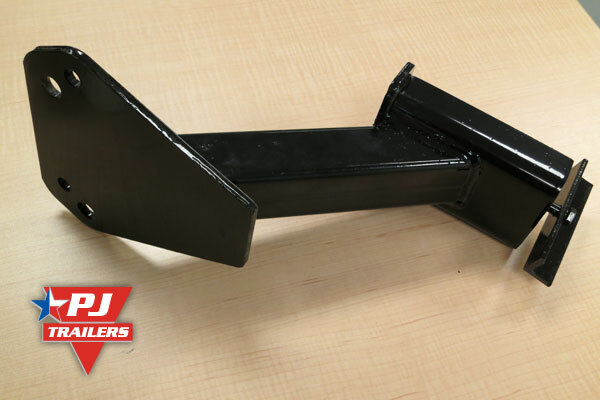 You can simply slide the channel inside the stake pocket and insert the hitch pin. 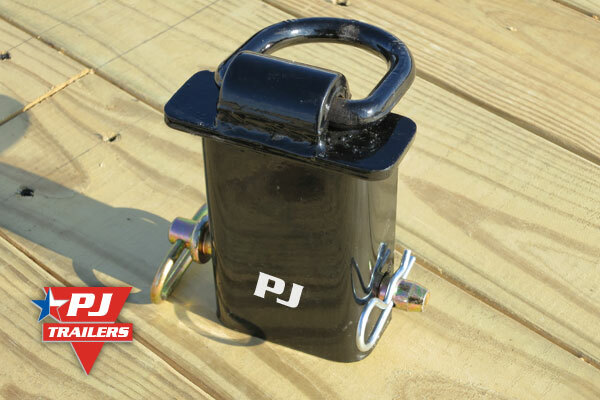 We have developed a utility trailer version of our extremely popular stake pocket d-rings. 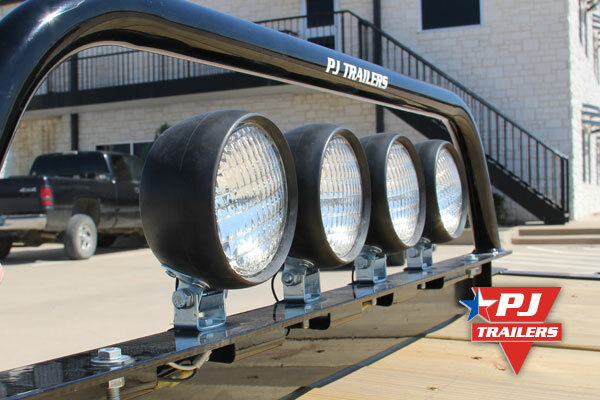 This version uses a lighter d-ring and has a notch cut to clear the wrap tongue on a PJ utility trailer and 4" Channel Carhauler. 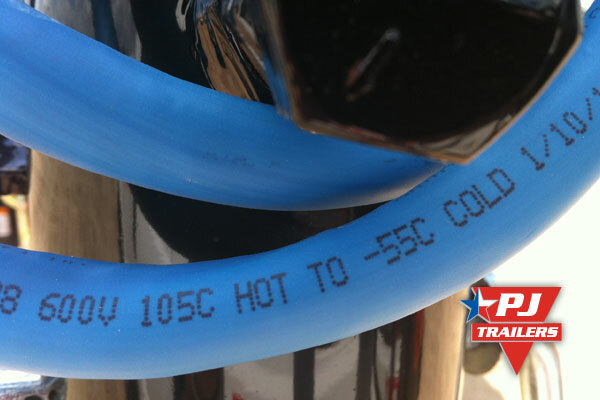 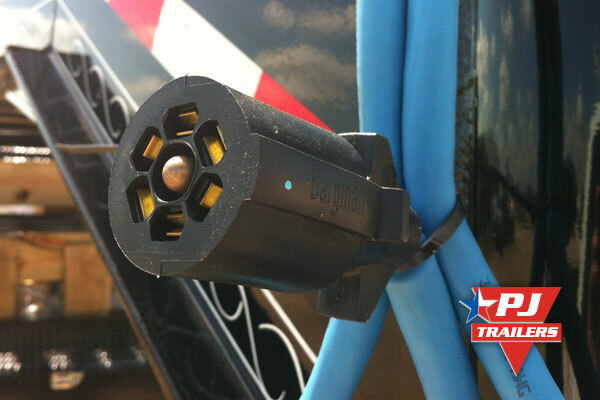 Our Bargman cold weather wiring harness keeps your trailer plug flexible and functional in the most extreme weather conditions. 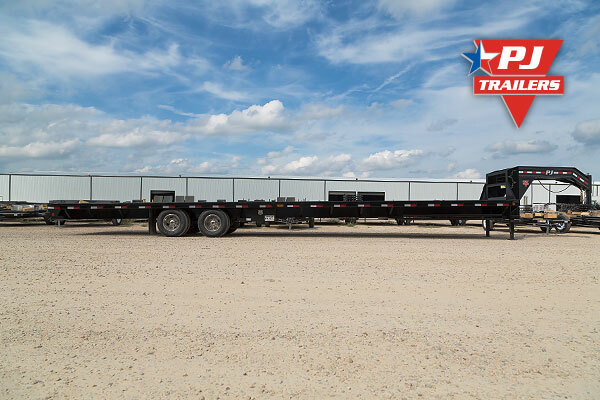 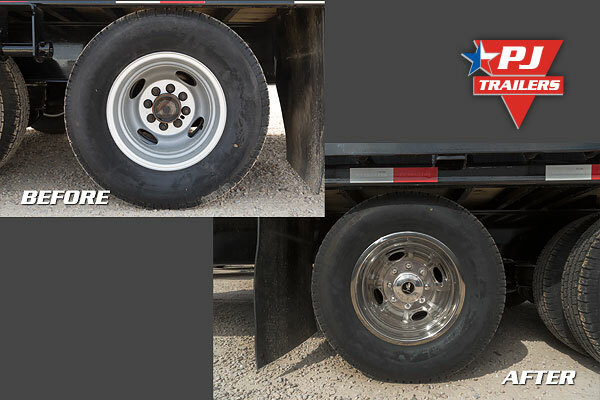 One of the easiest ways to dress up your gooseneck trailer is by adding stainless steel wheel simulators (sometimes called chrome trailer wheel simulators). 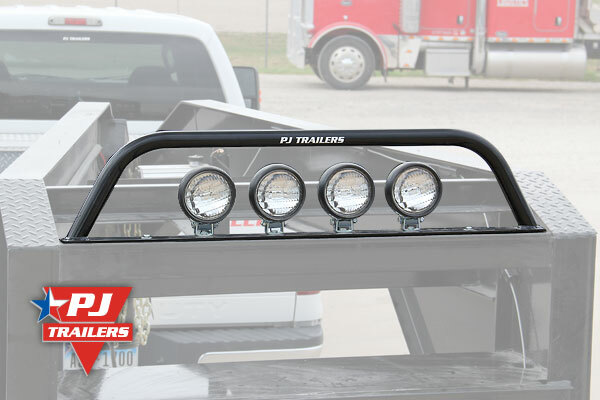 These simulators give you that high-end stainless steel look, without all the cost.